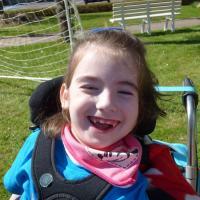 Every Easter, 1,000 disabled and disadvantaged children and young people enjoy a life changing pilgrimage holiday in Lourdes in the south of France. They are supported by volunteer doctors, nurses, helpers and priests. Preparation for families before their children travel with us is important. How each local group approaches it may vary, but children and their parents will have lots of opportunities to meet the other group members (helpers and children) before the trip. Most groups organise group trips in the run up to the pilgrimage. They might to go bowling or to a restaurant. Regular home visits are also made to ensure that the children get to know and have confidence in their helpers. Getting ready for a trip away can be very exciting, and if it is a child's first trip away from home, can be an anxious time for children and parents alike. Stay calm and keep in touch with your Group Leader who will be happy to answer any questions which occur to you as the trip draws near. From the start of the trip (and that starts before we leave the UK) the emphasis is very much on ensuring that all the children have a wonderful fun-filled week. Each child travels and stays with a family group. The groups will be visiting a number of Lourdes attractions, including the Grotto, the house where Saint Bernadette grew up, the "Cachot" where she and her family were living at the time of the apparitions, and some of the many museums in the town. Easter Sunday Mass: the week in Lourdes kicks off on Easter Sunday for many with a Mass and lots of singing. Tuesday evening Torchlight Procession: this is a wonderfully visual and emotional event. All the pilgrims in Lourdes are invited to come together for a torchlight procession, singing along, and on Tuesday night HCPT leads the procession. There is a great sing-along at the end. Thursday Trust Mass: over 5,000+ members of HCPT, the Irish Pilgrimage Trust, and other international groups come together in the Underground Basilica. For many this is the highlight of the week. Most groups have a day out, travelling by coach. A traditional and still popular destination is Gavarnie, high up in the Pyrenees. This is a spectacular venue where some days groups make snowmen and other days it's shorts and t-shirt weather! Other popular excursions include a day out at the beach (with St Jean de Luz and Biarritz being popular destinations), or going to a local zoo or other tourist attractions. Meals are at the group's hotel (or picnics on longer excursions) and there are plenty of stops at cafes for drinks, ice-creams, rest and laughter. Evenings feature a varied mix of fun, games, singing and parties. 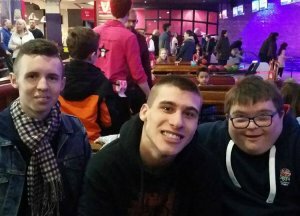 Three HCPT helpers explain the impact of the Easter Pilgrimage on their lives.